Jennifer has over 25 years experience in estate and trust administration. 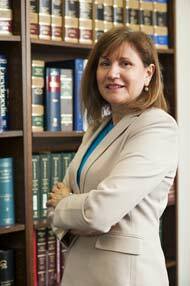 She focuses primarily on the preparation of federal and state death tax returns, fiduciary income tax returns and fiduciary accounts. Prior to joining the firm, Jennifer worked for various Philadelphia law firms, including Ballard Spahr Andrews & Ingersoll and Reed Smith Shaw & McClay.